Calum will be appearing as one of the guest artists for us at VIAM2015 at Hull City Hall and at VIAM2016 at the SSE Arena Wembley. On 11 April 2015, Calum’s audition for the ninth series of Britain’s Got Talent was broadcast on ITV. He performed a unique cover of Robyn’s “Dancing on My Own”. Following a standing ovation from the entire judging panel, Cowell pressed the Golden Buzzer giving Scott an automatic place in the live shows. 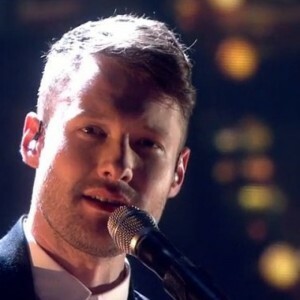 Explaining his decision to send Scott straight to the semi-finals, Cowell said: “I’ve never ever in all the years I’ve done this show heard a guy with the talent you’ve got. The version was sensational, which shows to me that you’re more than a singer, you’re an artist and that’s why you got the buzzer.” After this audition, Scott received support from stars such as Little Mix, Ne-Yo and Ashton Kutcher.Following his appearance on the show’s first episode, his Twitter followers jumped from 400 to over 65,000 followers. In the semi-finals, Scott performed ‘We Don’t Have to Take Our Clothes Off’ by Jermaine Stewart. A close-up of his face was being projected on the screen behind. Cowell commented “You really sound like a recording artist”, whilst David Walliams suggested that he could have “success around the world”.